Professor Addoum conducts research in finance, with a focus on behavioral finance, empirical asset pricing, and portfolio choice. His current work examines the determinants of investment decision-making among individual and institutional investors, as well as the predictability of stock returns. 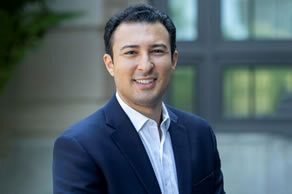 Professor Addoum’s research has been published in leading academic journals, including the Journal of Finance, Review of Financial Studies, Review of Economics and Statistics, Management Science, Review of Asset Pricing Studies, and Financial Management.